Sound like science fiction? It’s not, says the US Centers for Disease Control. The CDC suggests that four out of a hundred thousand people, the rate of infection in Northern California, are imagining these filaments into existence. 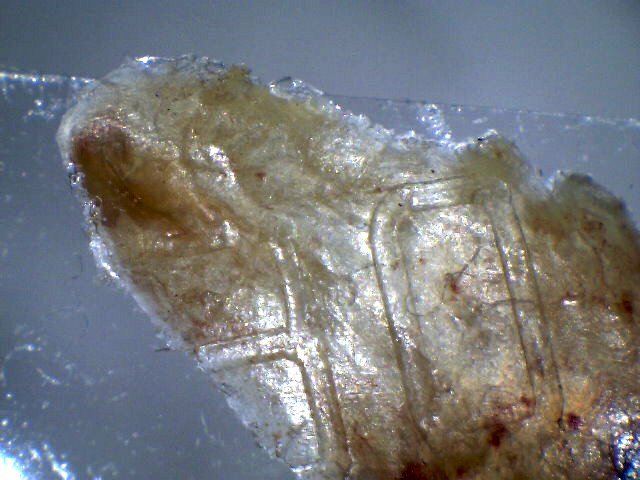 Comprising an array of physical and mental symptoms , Morgellons is distinguished by novel fibers that protrude from the skin, causing lesions and sores that do not heal, or that heal very slowly. Though clustered in California, Florida and Texas, it is found in every state and around the planet. “People who suffer from Morgellons disease are NOT delusional no matter what the CDC or the mainstream press would have you believe,” says Jan Smith of MorgellonsExposed.com. She’s suffered with Morgellons for over 13 years. But why would the CDC not know exactly the origin of the cellulose, instead saying it’s likely from cotton? And what about the rest that was not cellulose? The study provided no details. The CDC sent the cellulose and unnatural fibers to the Armed Forces Institute of Pathology, reports the Associated Press. AFIP has been collecting fiber samples and other forensic material for 150 years. Its 2011 budget was $65 million. Surely, if these novel fibers are natural or lab-created, the AFIP would know. Apparently not. 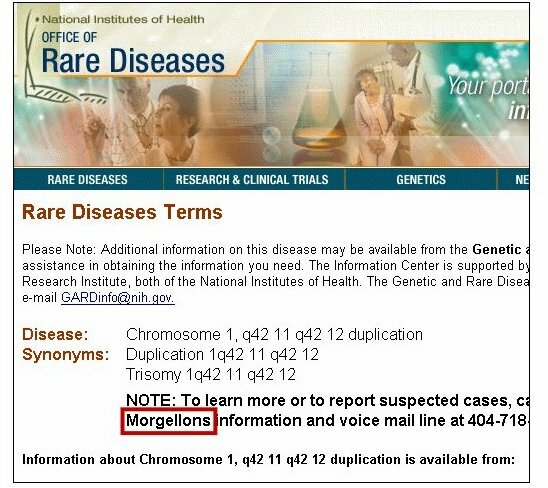 What is the CDC hiding about Morgellons? What the CDC didn’t say in the public report is that those fibers are alive and motile. They grow and reproduce, and have been shown to do so in a petri dish using certain visible light frequencies. If delusions are creating them, that would be a first in human evolution. If these unidentified fibers are some sort of top-secret nanotech military weapon, that would explain why no answer and no help will come from the CDC or the military. That question must be noodling the brains over at the CDC and DARPA. They must be wondering what is different about those 4 in 100,000 people whose bodies reject these synthetic life forms. The report they didn’t reveal to the public is the one I want to read. Trisomy can result in mental retardation and physical deformities. Are these bioengineered life forms causing rRNA to produce a third copy of chromosome 1 at q42.11 to q42.12? Or, do Morgellons sufferers already have a third copy, and its presence is somehow forcing the nanoworms to leave the body? “Morgellons is not a disease. It is a process. It is a form of forced/directed evolution of the human genome. It is the fetal stage of transhumanism, and it is upon us. © Rady Ananda, 2012. All rights reserved. An earlier version of this article was published at Activist Post. Originally published at Activist Post. Hello sir. Your conclusions are on the right track and I had in fact contacted people from this site as well the sunshineproject 5 to 6 years ago with information supporting what you are writing today. i believe this bit of communication will give enough information to allow you to greatly expand on what you have written, and really grab the tiger by the tail. This person whom wrote this to me should be contacted and questioned because of the information he is still today working to make public. Also, make no doubt, all that is talked about is morgellons. If there was interest in my rather involuntary mission I would have noticed more response. Again, a “foreigner” with a world issue under his arms is not appreciated. The Political nature is such that Nobody will opt for putting bi-lateral relations at risk, and the media will only go for the matter if public momentum is inevitable. In the world of science all happen to be equipped with a strong memory. If one international body would start to point at the other, all would be put seriously at risk. At this moment the scientific world has started a discussion about AIDS and how ethical all has been. How ethical all has been! And the majority still will talk the matter back into the bushes. I despise activists, conspiracy theorists, alarmists, whatever recalcitrant and organized critique you can think of, but I seriously feel motivated by the idea that you have the democratic spirited right and duty to point things out by mentioning the thing by its proper name. If later on, you will get to know what this target is doing in culture, and what this accounts for in theory and maybe in practice, you may have a world wide revolution going on. Basically the organism has a full, but translated blue print of another human being in its design. This next to a full but translated blue print of at least one mammal, maybe a bird, but for sure insect, parasite, fungi and plant. An X number of cultures will in a reject like way sometimes throw out a perfect or near perfect genesis of initial dominant gene input. The genesis of the insect happens to be more massive and with a bigger dimension than the mammal and human entity! All used method has been stowed away in one of the most oldest life forms on earth with the use of top technology of already the past. This type” information” now seems exponentially to proliferate in the environment and to create momentum in body it feels most comfortable with, to know water and soil; including freshwater supplies, lakes, rivers and the vast ocean. They can’t stop it South, they can’t keep science at pace with the speed nature integrates this type element in every life form that is around. Cyano and algae, and more general; plankton, represents the biggest body, the biggest weight, the biggest decision maker, because it represents the source code of all life that is present. Like with any true disaster, people stop thinking and expect that the other ones will do the job. Bio means life, and a more proper terminology would be bio climate change. They take swabs from all over the world from people that live in remote places, as a reference tool to understand where things for this splendid and organized world have gone wrong. Focus is on NIH and related laboratory. Netherlands 1980, Prins Maurits laboratory. No C3 permit at that time. Today one of 15 most respected NIH. Connects to international assembly line of Starfighter and F16 fighter on the same premise. This same Institute received a significant amount money in relation to Gulf War Syndrome during the Clinton administration. All area is subject to bioremediation since about 1971. Rhodophyta like outbreak of Blue Green Algae (Bloom) in 1980 in Rijswijk municipal water. Its this type model organism. Transboundary with the greetings of the Western Alliance. The same concept must have been released in the US about 2000. A high percentage of the population may turn out positive for this element but may stay asymptomatic for the time being. All is bacterial load depending. If sufficient quorum, than tissue adaptation. Nearly invisible presence in tissue. wow, thanks. when you say, “population may turn out positive for this element” what element do you mean? Great article, Rady. Thank you. Amazingly, I found it by searching “chemtrail” in Google News. The Global Research reprint came up… 5th result! Great to see! thx, Max ~ I don’t know why GR sent their readers here, I asked him to link to Activist Post which is paying me by page views. For those that have this itchy/crawling feeling, i found that using straight apple cidar vinegar on a wash cloth and rubbing it all over my skin at night helps with the crawling. Bactria can’t live in the vinegar. i also drink braggs acv 2 teaspoons to 8 oz glass of water which helps also. But mostly the wash is helping the most. My skin is getting smooth again also. it’s been a long process but seems to help. Good luck. Also watch out for the black pepper mites. They are taking over also.